Please Note: There is no refuelling these cars so ensure you have sufficient fuel to last the feature race in its entirety. These cars are fun around here. Gonna be interesting so how bad the dirty air is through the esses. Should be able to make up for it with the long back straight and pit straight. Think there's gonna be a lot of close racing and overtakes here. Thanks for hosting and setting up the race last night! 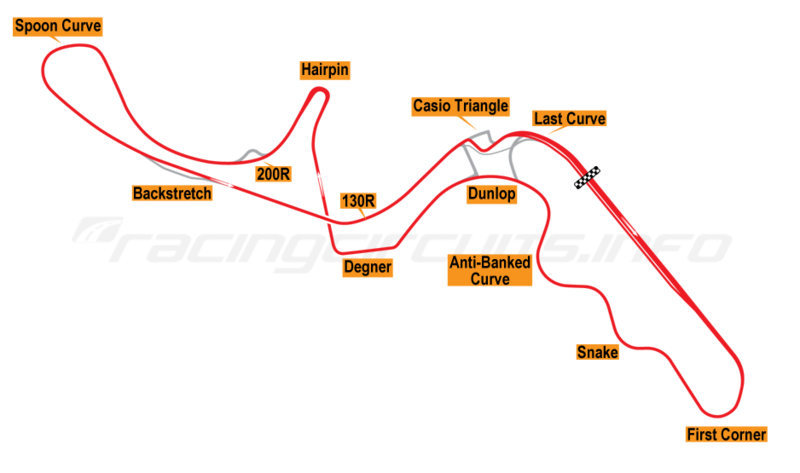 It was epic fun though that damned hairpin got the better of me several times in both races! Unfortunately the hairpin nullified my best qualification so far but that’s racing! Really enjoyed last night, the first section up the hill was a lot of fun if you got it just right. The field was also super close at stages. I may have had a mare in Race 2:"
I enjoyed last night. Suzuka is a great circuit of high commitment and these cars were an absolute blast around there. First race pretty well went to plan, started off second, managed to get ahead at start and held a gap to the finish. Second race was great, its awesome in these cars how close the racing can be. Its easy to get up behind someone with the draft but once you tuck up behind them the aero wash is real and really takes some planning to actually execute a good manoeuvre. There was a great battlepack in the first stint of the race with the likes of Danman, Murph, Mike, Blackjack etc and was very enjoyable. Unfortunately MMJ managed to gap the field at the start of the race and had quite a healthy 13+ second gap. I knew I had to try something to retrieve that so pitted early and put on some fresh tyres and put in a few qually laps. MMJ decided to run longer than I thought he would which meant he left the pits 1-2 seconds behind me - except he had a lot fresher tyres! Was a real battle holding on with my half worn tyres and keeping the car on the track. Unfortunately I was suffering from the odd PC stutter/lock up during the race and MMJ got a well deserved win. Im really enjoying racing these cars, just need to work on commitment into the corners! Probably still breaking way too early.